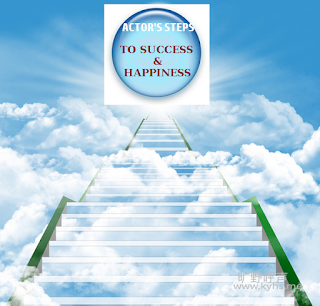 """ keywords'/> "" " Only Dream And Screw Life | 30 Steps To Actor's Victory And Joy | Best Actor Academy-The Monster Of Free Acting Tips ""
Can You Climb These Simple Steps to The Heaven of Success and Happiness? We as an actor have desires, needs and wants. Most importantly, we pursue to be happy. Yet what is so important to us can be beyond reach for many. However, chasing happiness as an actor should come from the decisions and choices we make. Focus on the little things, though overlooked, which are necessary, rather than the mighty actions you have to reach happiness. At the end of the day, happiness is never a destination, but a journey and every step should be one where you welcome the excitement and joys life has to offer. Be thankful and express sincerely to people and God, irrespective of the situation. It is not about what you don’t have but about the things you currently have. You have decided to be an actor. It's your career. Pursue it. The best is to do something that combines work and fun in your life. Stop trying to be a perfect actor. No one is. Learn to tolerate others. Just as you are not perfect, people around you also cannot be perfect. Don’t compare yourself with others. Rather always try to be a better “YOU” of yourself. Dream, work for it and always hope for the best. There are no gains or successes in worrying after all. Forgive yourself and learn to forgive others. Give to someone in need. It doesn’t have to be money, but it could be your time or energy. You will always make mistakes, don’t ever take yourself too seriously. Listen or participate in interesting and in stimulating discussions. Be reasonable. Not everyone will accept your opinion or beliefs. Don’t try to win every argument. Set goals, they could be short term or long term. Just have something that you look forward to accomplishing. Exercise and try to keep fit looking good and full of energy. Being Bollywood's one of the major requirements for an actor, your body is your vehicle to success. Celebrate your wins, even small ones like giving a good audition performance and hug your rejections and losses in the same manner. Stop using negative words like “I can’t.” “I won’t.” “It can’t.” Always be positive and know that the world is a place of amazing possibilities. Write something. Maybe, a daily activity log for your Facebook page, your plans for the future or what you have observed in a day: people, animals, nature, weather, trees etc. It will improve your power of observation, concentration and most importantly imagination. Or it could be a thank you note. Stop spending time with negative or people who gossip. Take risks. Learn to accept your fears and face your challenges with bravado. Learn to brush off the things beyond your control. Life will always be unfair and will not be the way we want it to. So value what you have and stop trying to hold on to the things that you cannot do anything about. Know your strengths and your weaknesses. At the end, there is so much we can do or take. Know what applies to you and stop pushing yourself too hard to where you are frustrated, unhappy and where it violates your values and desires. Accept change. You should be flexible and be adaptable. Things will never stay the same. Time has a way of healing, building and reforming. So understand that things will pass. Rather than be a victim of change, be a master of it. Stop complaining and making excuses. Rather, take on more responsibility and do more of what you can do to better a situation or the things that surround you. Eat right and sleep as much as you can. Sleep rejuvenates your body and mind. It's vital to your success as an actor. Prioritise. You cannot chase everything at once. Rather pick those pursuits that matter to you and prioritise your goals. Stop being busy. Rather, focus on being productive and appreciating the moments you have. 30. Travel and gain new experiences of the world. It will help you as an actor to “Create” anything.